The Rachel Dolezal fiasco: Are we all just playing at race? I am a Puerto Rican Jamaican of Chinese decent. Well that’s not technically true but in a post Rachel Dolezal world it could be. The recent ‘outing’ of the ex-NAACP Washington branch president who’s been accused of falsely portraying herself as a black woman has the world once again grappling with notions of race, culture appropriation and to what extent Elvis and Eminem stole black music. 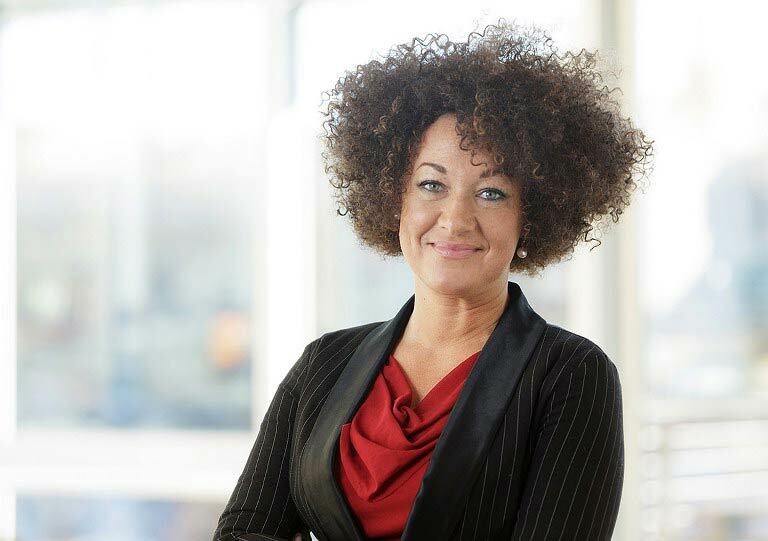 After being ‘exposed’, Rachel Dolezal has said that she identifies as black. ‘I definitely am not white’. She has said that she’s always seen herself as black to the extent she used the ‘brown skinned crayon ‘ when drawing herself as a child. However, her parents refute this claim, saying she probably had not even met any black people during this ‘artistic period’ of her youth. Her past as a little white girl who possibly knew no black people did not stop her from becoming a pretty prolific ‘black woman’ who went on to lecture about the Black Power movement, release statements on movies about black history and hold a leading role in one of America’s top advocacy groups that champions the rights of African Americans. Debate has raged on about what it is that can make a person change race – rather than what makes one engage in a gross act of appropriation. What does it mean to be x race? When Micheal Jackson changed skin colour, was he still black? When we speak of ‘white trash’ or ‘black excellence’ who is it that are included in these and other racialised categories? We cannot ignore the fact that to some extent race is very superficial in nature: it is how you look. As much as I may want to be a pretty white blonde girl I cannot be because people will take one look at my mocha skin and be like ‘sugar honey bear you are not a white girl’. I may be able to possibly pull off blonde, but not white. However, one must also consider the performative aspects of race, the behavioural aspects that are supposedly indicative of a race. For example, when Julius Malema once lashed out at a BBC journalist, saying ‘don’t come here with that white tendency’, many people instantly knew – or thought they knew – what he meant. Of course, not everyone would have the same ideas but the notion of a core group of ideas remains. Personally, I always think of white tendencies as the ability to go from zero to call your manager in five seconds flat, but this could be a side effect of having lived in Cape Town for too long. Back to the Dolezal matter. What does having the ‘right criteria’ to belong to a certain race entail when there are so many ideas that come with it? To her credit, Dolezal embodied what it is to be a black woman to such an extent that no one called her out on it for over a decade. Her track record is quite impressive. She studied at the traditionally black Howard University and did her Master’s thesis in Fine Art as a series of paintings presented from the perspective of a black male, focusing on the journey of what went on inside the mind of a black male. However the deeper question is: has this need to keep the notion of racial traits pure left us with something lacking nuance and depth? For example, to say something is black in nature is somewhat tricky because is it African American or African? Is it Nigerian in nature or Rwandese or North African? Or does it have a Bob Marley Jamaican feel to it? The Dolezal fiasco makes me question what it means to be a certain race. What does it mean for these fixed categories when some can blur the lines to such an extent? For all intents and purposes Dolezal had all the makings of a black woman: the integration into a community, the family, the academic credentials and the lived experience by being at the heart of the black struggle movement. Heck, she even had the hair and we all know how important hair politics are to the average black woman. Thus in light of all this, did she lie by saying that she was black? What we should be focusing on is not the way in which race can sometimes be ‘put on’ or ‘taken off’ but the way in which there are consequences to ‘wearing’ this supposedly ‘non-existent’ identity. Race, like any other identity, does not exist in a vacuum as something one can simply don and or take off with no consequence or context. It exists within a larger framework that works to create a hierarchy, privileging some over others. The Dolezal case has exposed the fundamental discomfort we all feel: the notion that some people can cross this line, and manoeuvre within this structure at their own ease whilst others remain chained to it, unable escape the consequences of racial societal forces. When people talk about how race does not really exist they discount the reality that has been borne in notions of racial identity. To do so is to deny the historical and contemporary structure that makes skin bleaching a multibillion-dollar industry, the history that made slavery, apartheid and colonisation possible, and how this history plays out today. It is to deny occurrences such as #BlackLivesMatter and debates that stem from #JeSuisCharlie (or JeNeSuisPasCharlie). It has the possibility of discounting the fact that when millions of Africans die they are simply a number, but when one French couple is murdered it is international news. It denies the nuances, inequalities and hierarchies in existence that affect people’s lives daily, that mean the difference for some between life and death, being afforded humanity or not. The Dolezal case not only shows us the ghostly nature of the racial structure but also to what extent many of us are unable to escape this ethereal jail that we have built ourselves. This is what scares us the most. We have realised we are trapped in something that fundamentally does not exist, but still we have no real way of escaping it. Those who sometimes attempt it do it extremely badly (here’s looking at you, Iggy Azalea) while those who succeed in blurring the lines are met with scorn and suspicion.